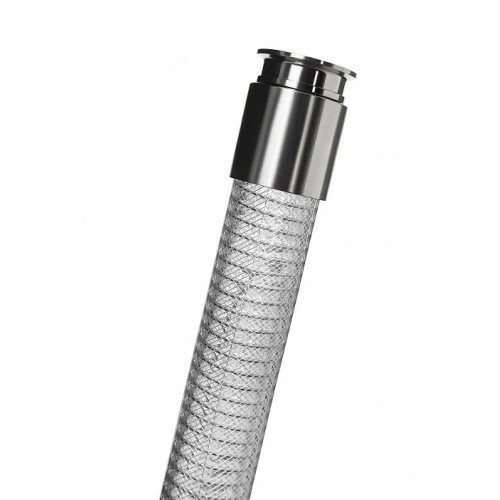 Colour: transparent with steel spiral and polyester reinforcement. 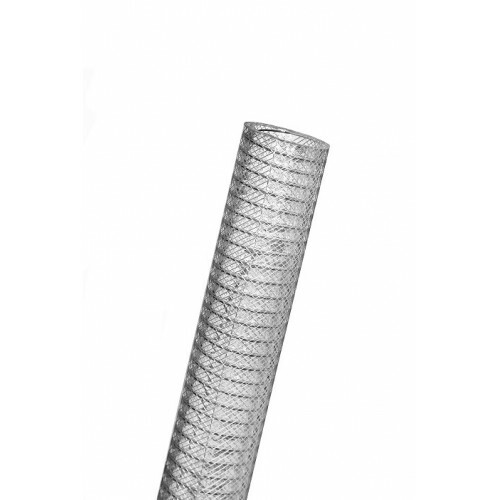 Technical Features: Flexible hose reinforced with an high tenacity polyester yarn and a steel spiral , produced with Biovinyl™ : a revolutionary bio-based compound, obtained mainly from renewable biological sources. It allows to reduce CO2 emissions during its production and disposal process. Properties: Smooth inside and outside to ensure the optimization of flow. Completely free from phthalates. Resistant to several chemicals, weather conditions, ageing, ozone, UV rays, hydrolysis. Halogens free according to RoHS. Standards: Food grade according to EC 10/2011 Regulation (classes A,B,C and dry food) and to FDA (CFR 21 Parts 170 to 199 Item 175.300), RoHS 2011/65/EU Directive, REACH Regulation (1907/2006), TRB S 2153. Ideal for suction and delivery liquid and dry substances in food industry such as drinks, juices, wine, vinegar and spirits with max. alcohol content up to 20%. No suitable for fatty foods or milk and diary products.